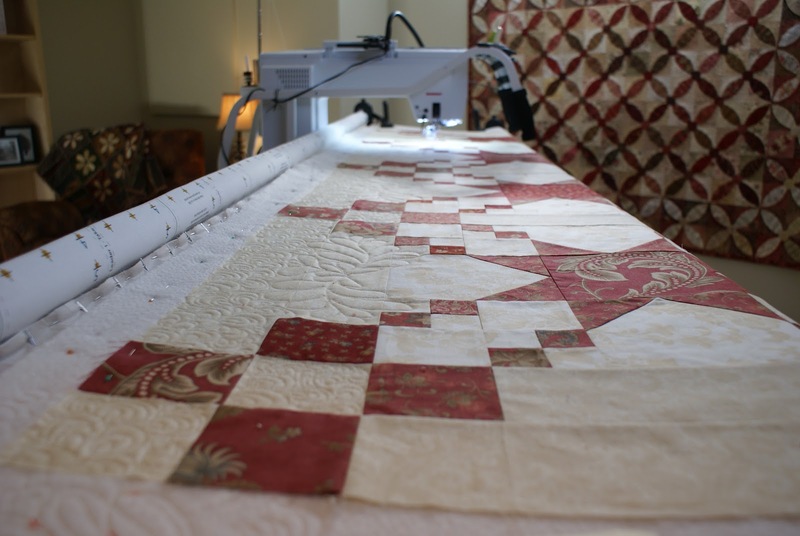 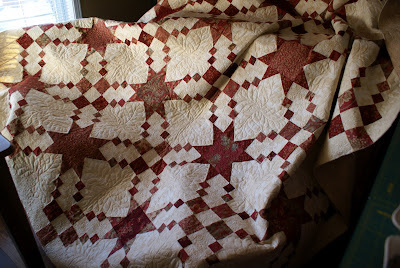 I am so happy to have another quilting project done. This quilt has been on the frame since December and took a lot of time to complete although I didn't keep track of the actual hours spent working on it. 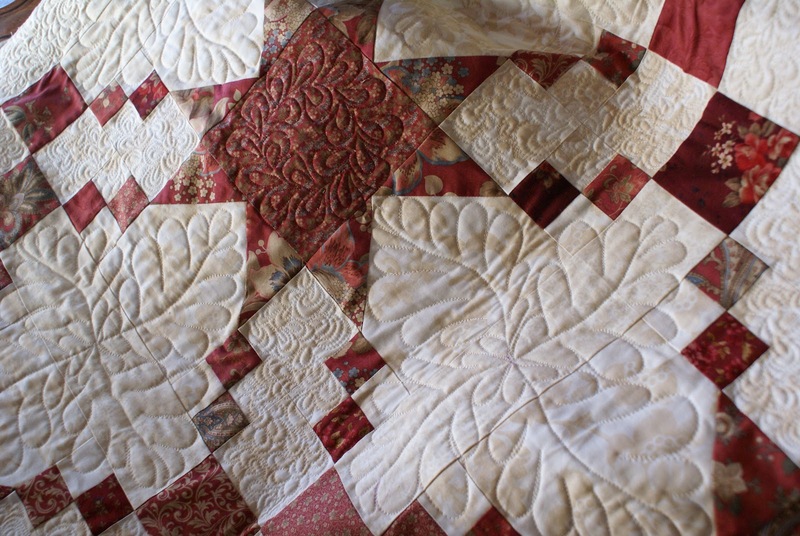 My plan for the weekend is to do some piecing. 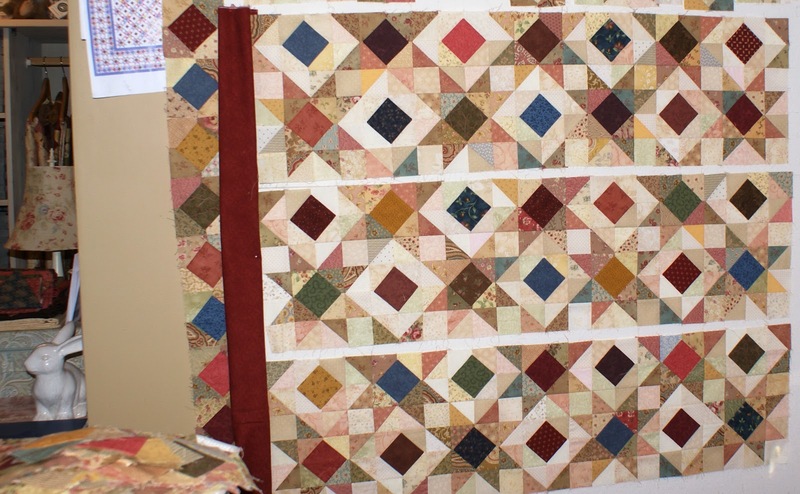 I have this work-in-progress on my design wall and am anxious to get it finished so I can quilt it too.